When you’ve been hurt in an accident, you need to know who was at fault and how to get a full settlement to cover your losses. Get the help you need by working with a Layton personal injury lawyer. An injury-causing accident can happen at any time: someone rear-ends you on the highway, a neighborhood dog attacks you, or maybe you slip and fall on an icy patch during a routine grocery run. If you’ve been injured in an accident caused by someone else’s negligence, facing the resulting physical, emotional, and financial challenges can be especially frustrating. In these circumstances, you could be entitled to a settlement to cover your expenses and damages. 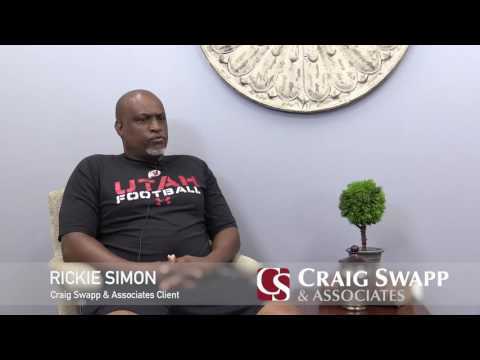 A Layton personal injury lawyer from Craig Swapp & Associates will review the details of your case and handle the insurance companies so that you get every penny you’re owed. Vehicular Accidents – Whether the crash involved a car, 18-wheeler, or motorcycle, if you were not at fault, you could be entitled to seek damages from the negligent party. Pedestrian Accidents – In Utah, every year thirty pedestrians are hit and killed by a car while another 785 are hospitalized after being hit. When a driver isn’t mindful of pedestrians, serious physical harm can result. Premises Liability – Federal and state laws exist to ensure that agencies and businesses maintain a safe environment for their visitors. If a business owner does not abide by these laws, personal injuries, illnesses, or even fatalities can occur. Defective Products – If a manufacturer sells a product with a manufacturing or design defect and fails to warn the public, you could seek damages if you’re injured while using that product. Catastrophic Injury and Wrongful Death – If you’ve endured a catastrophic injury or the loss of a loved one due to medical malpractice or other wrongful death situations, nothing can make up for the loss. A personal injury lawyer can help you get the settlement you’re owed to give you financial peace. Construction Accidents – If you’re injured on the job, you’re entitled to file a workers compensation claim. However, workers comp alone may not get you the full and fair settlement you’re owed, and your case might qualify for a personal injury claim if a third party outside of your employer was responsible. Comparative negligence is used to determine who is most at fault in a personal injury claim. Even if you are deemed partially at fault in an accident, you could still be entitled to a settlement if the other party is deemed more at fault than you. A Layton personal injury lawyer from our office will review all aspects of your case and work to get you what you’re owed from the at-fault party. Accidents can be extremely traumatic. You may be wondering how you’re going to meet the new physical, emotional, and financial challenges in your life and whether you can trust your insurance company to compensate you fairly for your hardship. If you’ve been injured in an accident, you don’t have to suffer alone. Contact a Layton personal injury lawyer with Craig Swapp & Associates today to set up your initial free consultation. Call us at 1-800-404-9000 or fill out the online contact form below to get started.